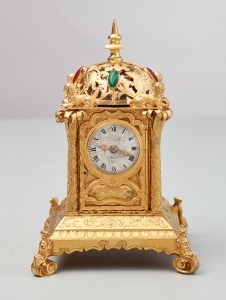 A very charming small gilded Vienna ‘pendule d’officier’ (travelling clock). 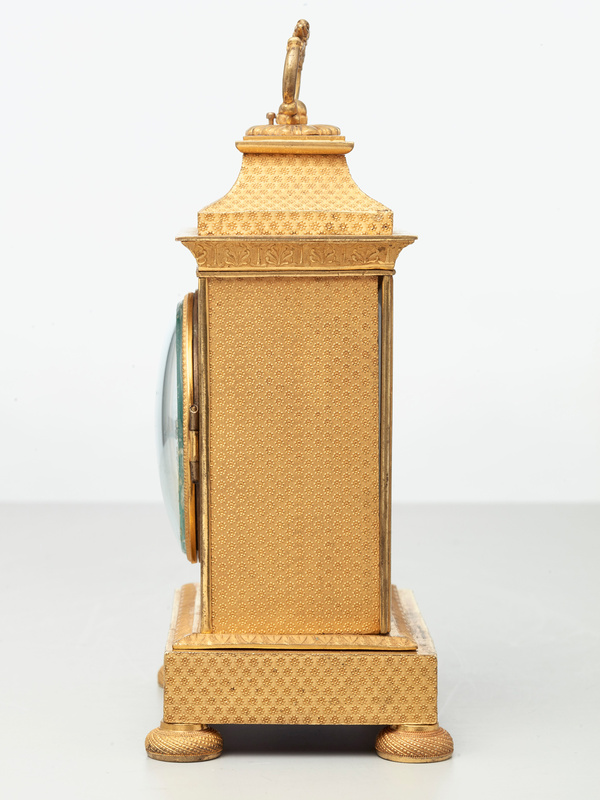 The ‘grande sonnerie’ and repeating striking movement on gongs. 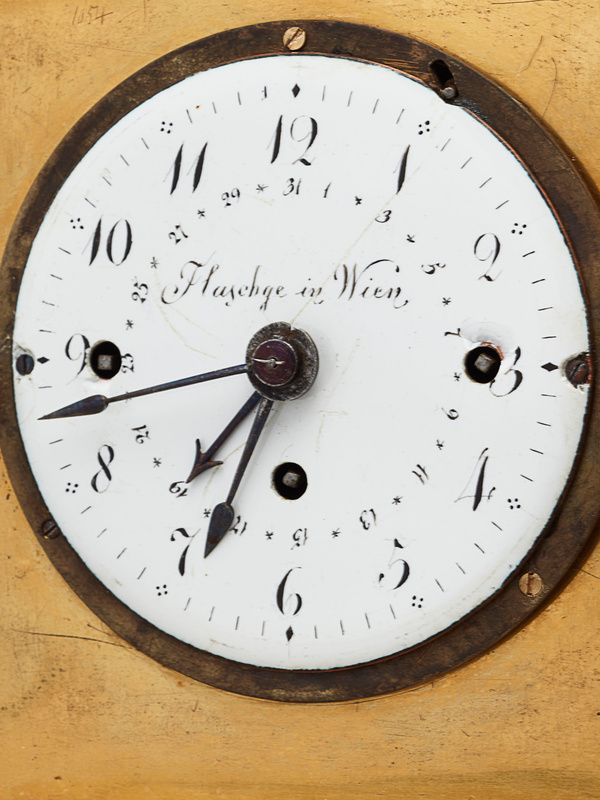 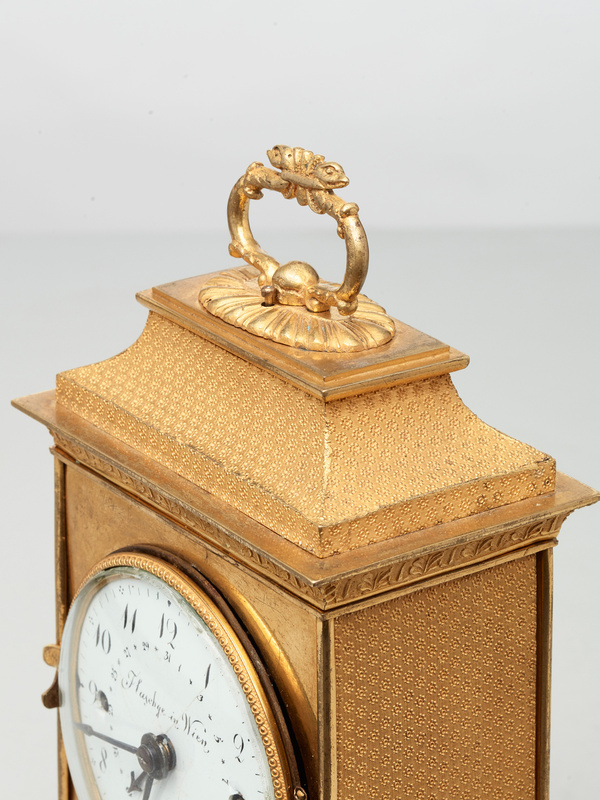 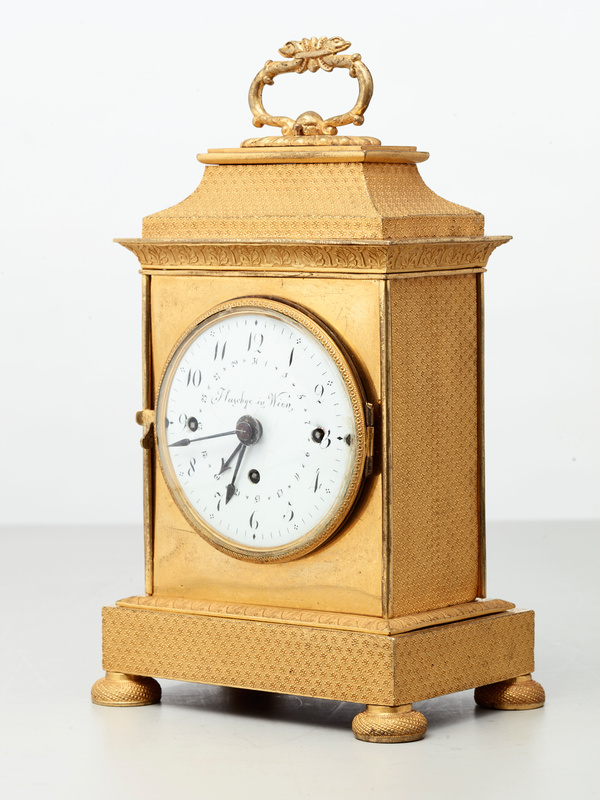 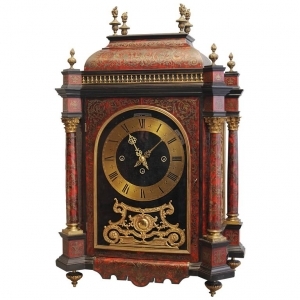 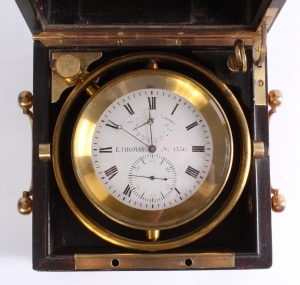 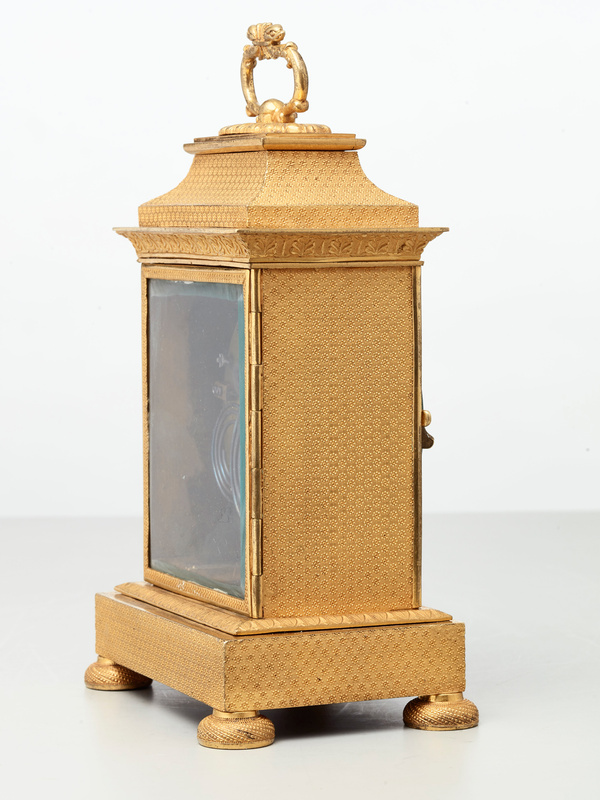 The superbly proportioned gilded case is of high quality - this clock is very collectible. 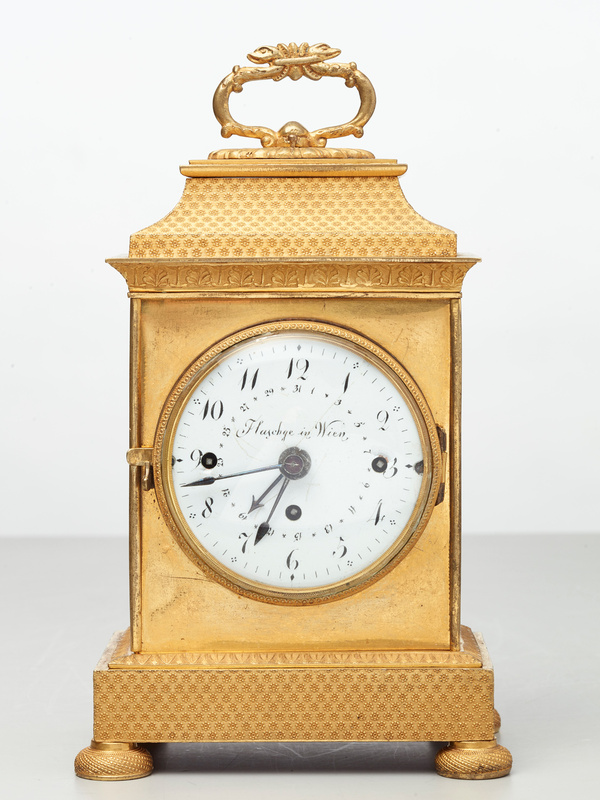 The white enamel dial with Arabic numbers. 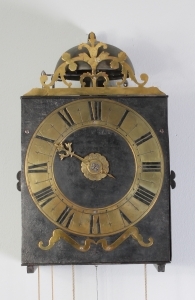 A special hand for the numbers of the month. 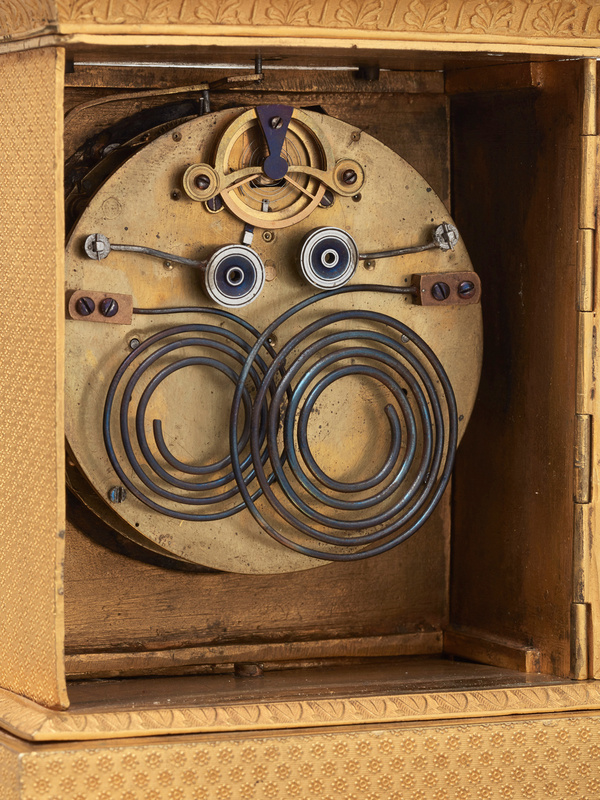 Typical blued steel hands. 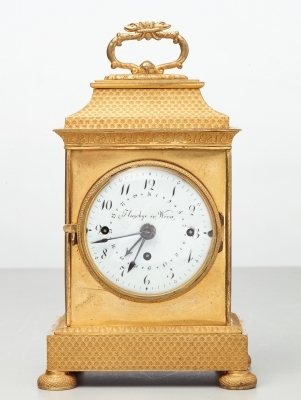 The three train 24 hour movement with balanced wheel escapement. 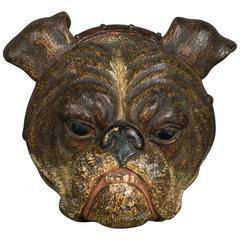 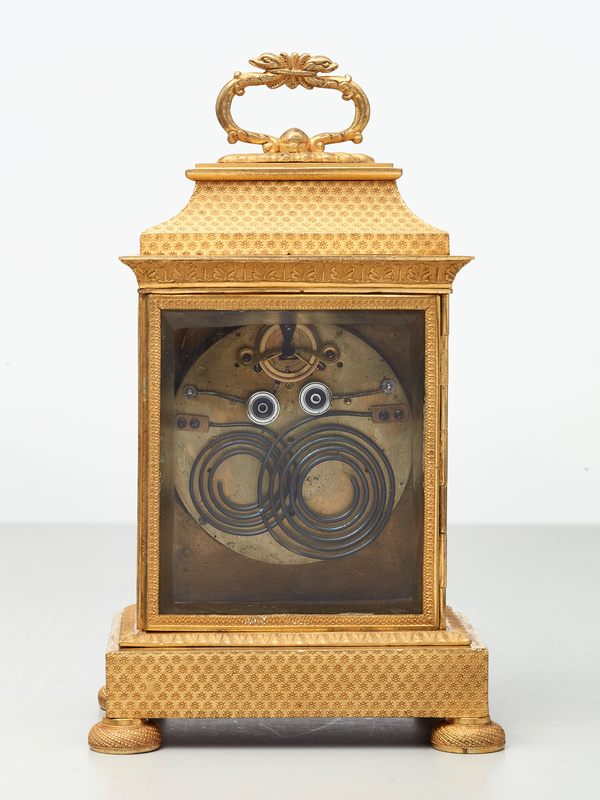 The push ‘repeat on demand’ on top of the clock, in front of the elegant handle comprised of fantasy snakes. 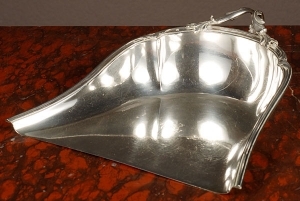 Silver dustpan with a beautifully decorated handle, circa 1880.